5/8" x 8' Heavy oiled harness reins with weighted, stitched ends. Showman™ oiled harness leather headstall. 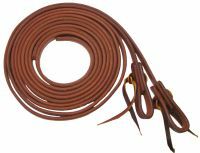 Showman™ 3/4" X 8' Oiled harness leather split reins. 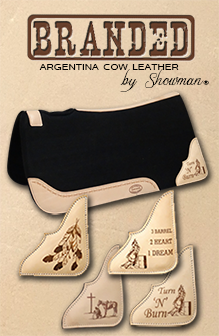 Showman™ oiled harness leather double buckle sliding one ear headstall. Showman™ oiled harness leather one ear headstall with snaps. Showman™ double buckle sliding one ear headstall. Showman™ oiled harness leather headstall with snaps. 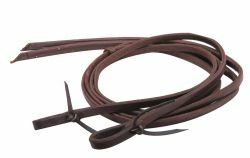 Showman™ 1/2" X 8' Oiled harness leather split reins. Showman™ single buckle sliding one ear headstall. Showman™ 5/8" X 8' Oiled harness leather split reins.